Take a drive by your local brick oven pizza place any night of the week, chances are they are almost always packed. There is no scientific explanation required as to why these places are so popular…pizza prepared in a wood-fired oven is just flat out delicious! Of course, it wasn’t long before restaurant goers realized they could implement the same cooking techniques and make their own pizza by installing an outdoor pizza oven in the comfort of their own backyard! Pizza ovens are a fabulous addition to an outdoor living space, but achieving the perfect personal pie is more than just spending some dough on sauce and cheese. First thing first, talking to the right professionals for the job. Granted, a handy-homeowner can certainly construct their own pizza oven, but there are municipal codes that need to be followed, setbacks that need to be observed, permits to acquire, inspections to schedule and the ability to foreshadow how this feature will fit into other landscape plans for the property. 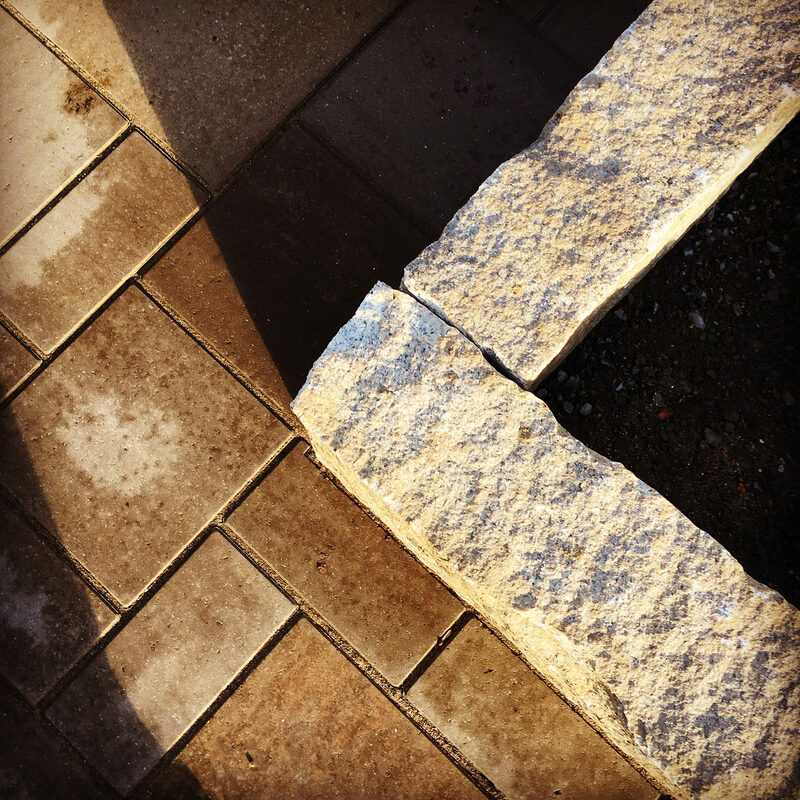 Consulting with your landscape designer will not only guarantee that your new outdoor feature meets regulations and is safe but will work off one comprehensive landscape design to ensure all future pieces will flow seamlessly into the previously installed wood-fired oven. 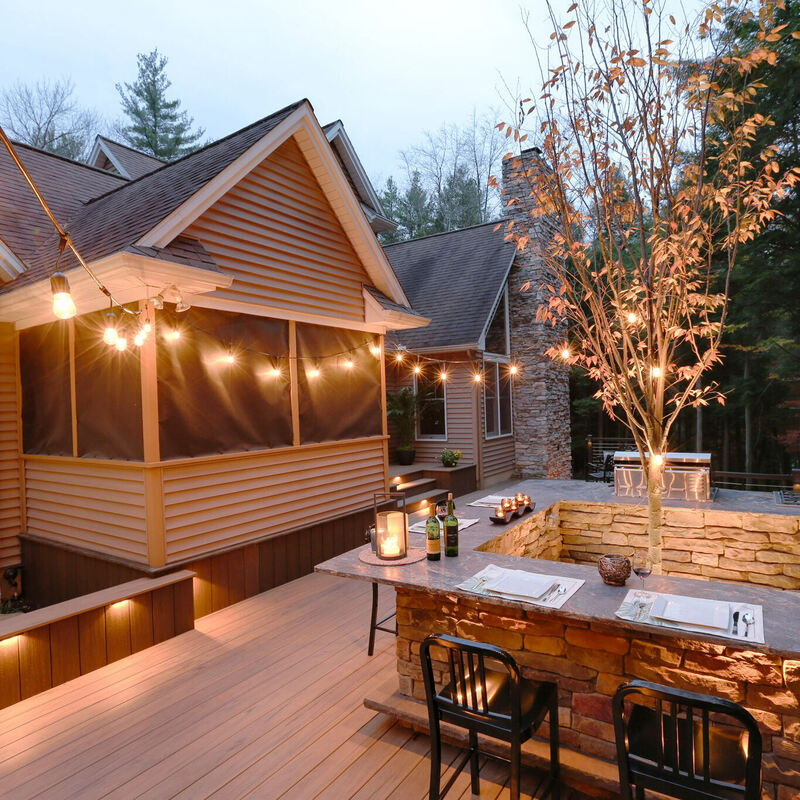 If you are going to start investing in your outdoor living space, you might as well make sure it is done right the first time! Regarding budget, some homeowners may opt to be modest with the size of the oven they want built. However, scaling down the size of the oven itself may not allow enough space for the wood, heating space, ventilation and of course, the food! Spending time, money and energy building this feature won’t be worth it if the food isn’t to scale or the temperature of the oven isn’t precise. Balancing out the temperature so the heat doesn’t overwhelm the food in smaller ovens can get tricky, so if your backyard allows it, opt for a larger oven. This larger cooking surface will allow a whole meal to be prepared at once, freeing up your time and ensuring that your family can all sit down at once and enjoy the scrumptious feast! 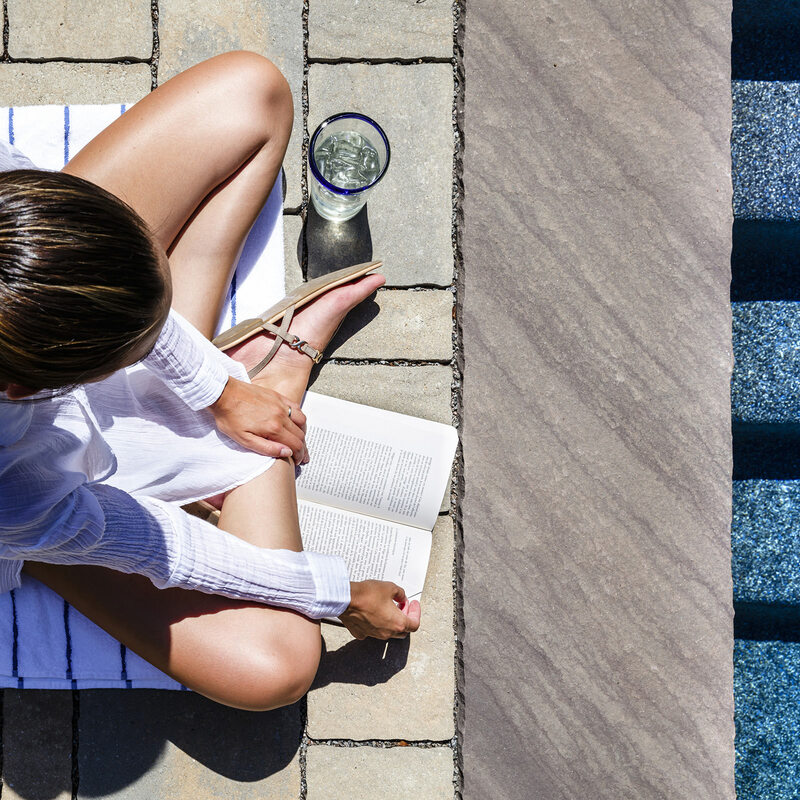 No matter the setup of your backyard, we recommend keeping all cooking elements closer to the home, yet at a reasonable distance to remain safe and comfortable. Not only can outdoor cooking stations benefit from shared house utility like plumbing, but the convenience of having close indoor kitchen access to ingredients, beverages, plates and silverware (not to mention a sink to rid your hands of flour and dough) is key. While locating a pizza oven away from the home is a homeowner’s personal choice, it makes the most sense if this location were located near/under a secondary structure on the property like a pavilion or pool house. Preparation, cooking and dining should all happen within the same reasonable space to remain comfortable. Also, be sure to talk to your landscape designer about the integration of other outdoor cooking elements like grills, burners and smokers. Having all kitchen features in one location will save space and increase the efficiency of meal prep. Grilling up burgers and preparing a fresh margarita pizza at the same time will be a breeze and you can spend most of your time enjoying your company instead of running around trying to prepare several things in several different locations. This should go without saying, but don’t forget that you will have to obtain and store the wood for the oven. Typically, landscape designers will incorporate a dry space underneath or on the sides of the oven to store the wood for cooking. Having your fuel source within an arm’s reach will ensure that the fire will stay fed and you are always prepared. Also, take note that not just any chopped up wood will do! The type of wood you choose to burn in your outdoor oven will greatly depend on the availability in the area you live. Always opt for a hardwood like oak, maple, beech or hickory. Hard, dry and aged woods will burn hotter, cleaner and longer, helping the food to cook faster and make it taste better. Don’t discredit fruity woods like cherry or apple! Fruity woods will produce lighter and sweeter flavors to the food being cooked. Always avoid fresh-cut, soft or oily woods like pine or white birch. These soft woods don’t burn very hot and have a high moisture and sap content which translates to smoke and soot which will coat the inside of the oven and will upset the taste of your food. A little research will go a long way when it comes to the types of wood you should and shouldn’t burn. As far as tools, what’s good for cooking indoors will not cut it for your pizza oven. You will need to utilize utensils and tools meant to withstand the intense heat within the oven. Long-arm pizza peels are not only meant to withstand the extreme temperatures, but are meant to slip the food in and out of the oven cavity with ease, this tool is an essential must. You will also want to explore the necessary cleaning tools to keep your oven in tip-top shape. Long-handled ash rakes, brushes and shovels will aid in your quest to rid your oven of soot and debris for peak performance. Because these ovens are custom-built, you will have an opportunity to choose the outward aesthetic! 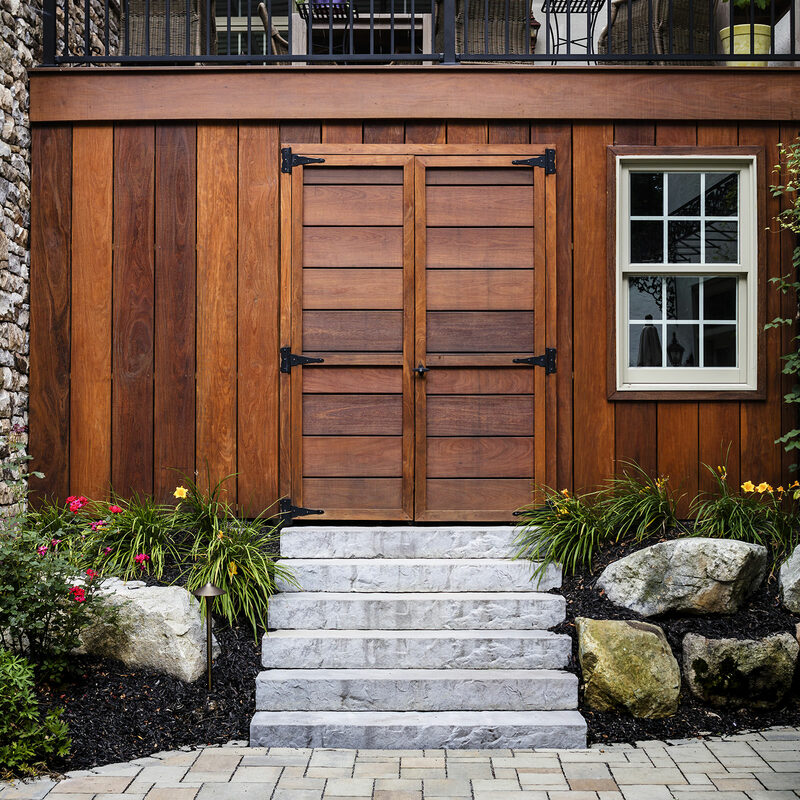 Typically, landscape designers like to see cohesion throughout a property, so incorporating the same materials from the front of the house to the back is preferred. 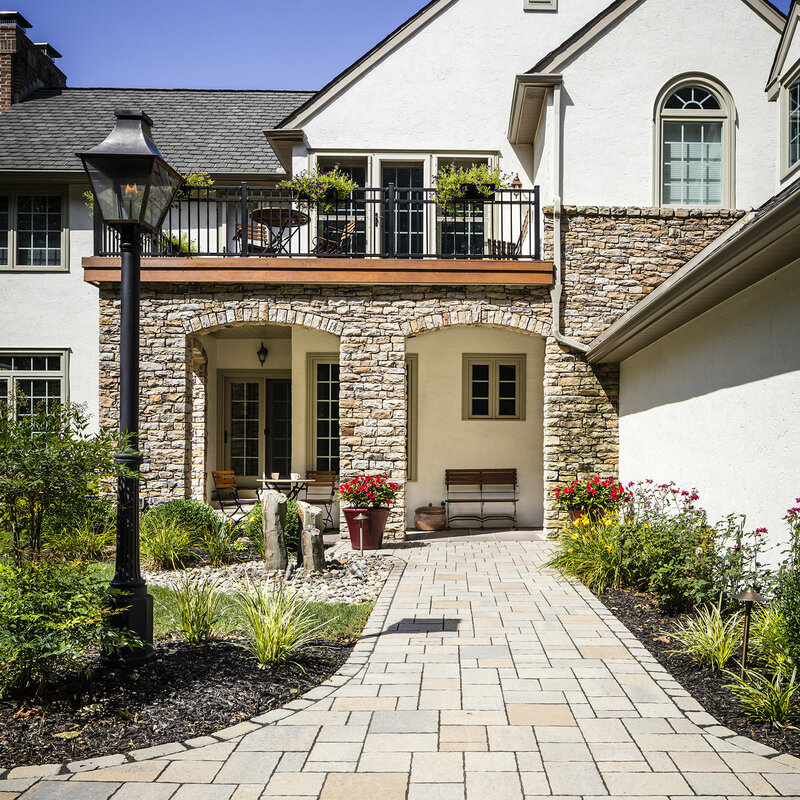 Integrating the same stone veneer or stucco of your home is the perfect example of a cohesive and comprehensive design. 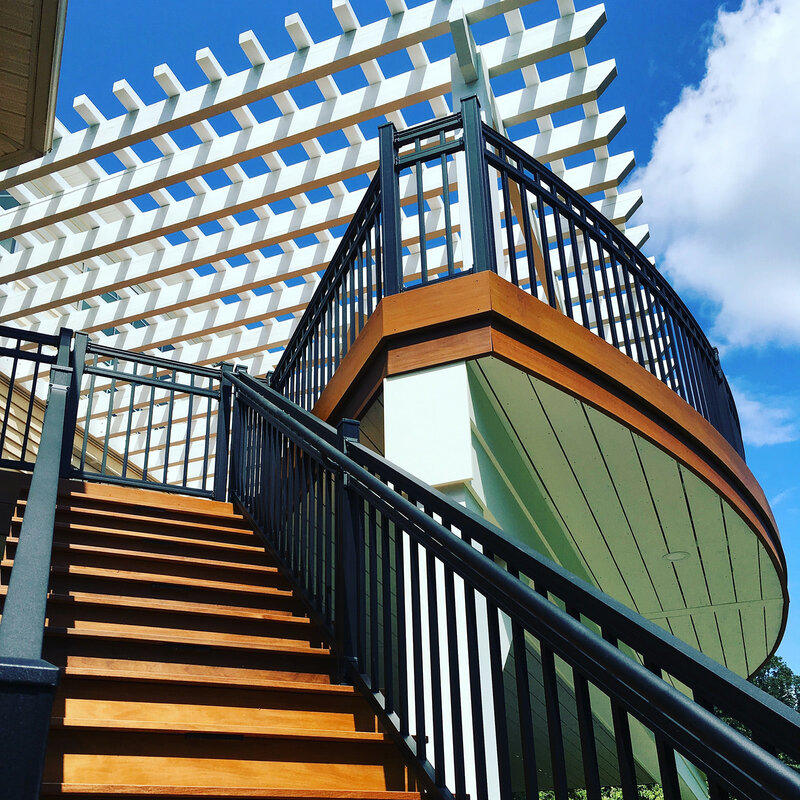 This material pull-through will give the property integrity and coherence, making the spaces feel as if they were all constructed at the same time. Whether you have a family chockfull of teenagers ready to eat you out of house and home or you prefer to entertain smaller groups of friends on the weekend, an at home built-in pizza oven is worth some consideration. This interactive conversation starter will most likely be the hit of the party and the favorite meal on the menu. 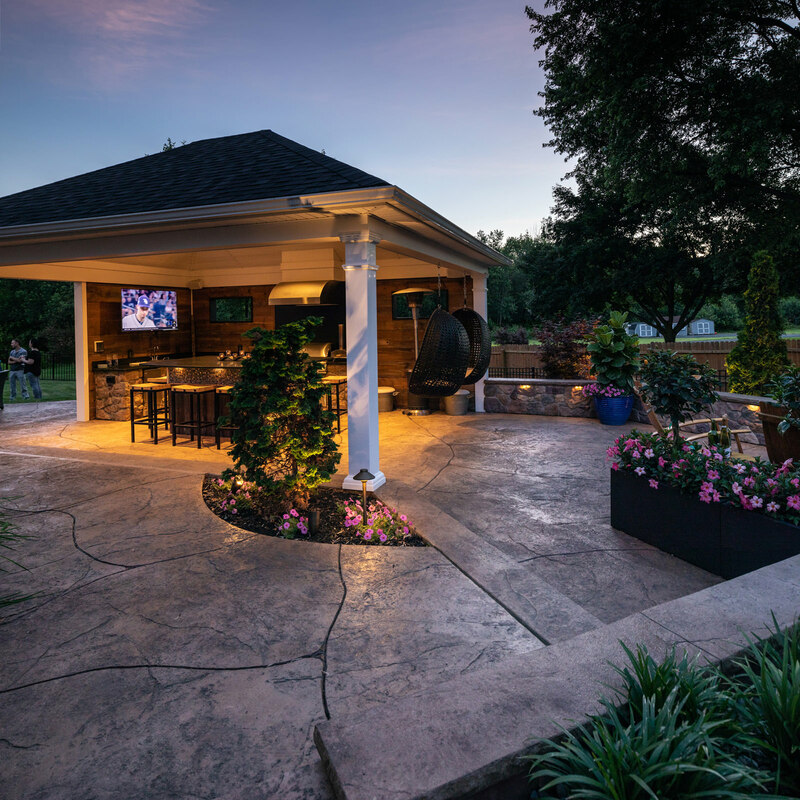 Serving the Poconos, Lehigh Valley through the Main Line of Philadelphia and western New Jersey, MasterPLAN Landscape Design would love to chat about incorporating features like a built-in pizza oven into your landscape design! 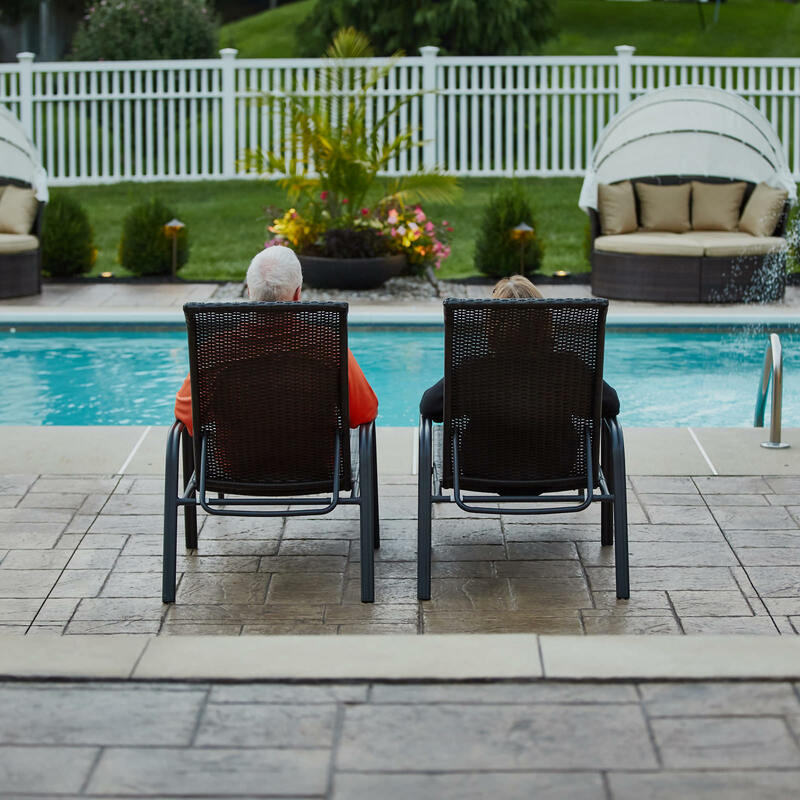 Discovering the full potential for your backyard is our specialty, and creating custom-tailored outdoor living spaces to fit your family’s lifestyle is our passion. By partnering with our clients, we can discuss all options for their spaces and build a plan that makes sense for everyone. 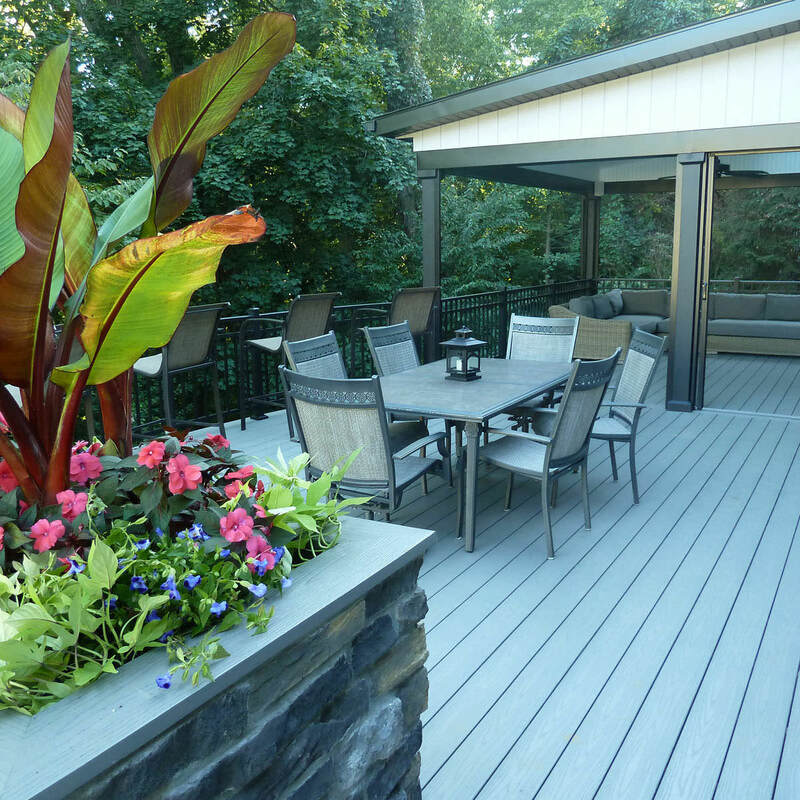 So, when you are ready to open a conversation about your own outdoor living spaces, reach out to MasterPLAN! 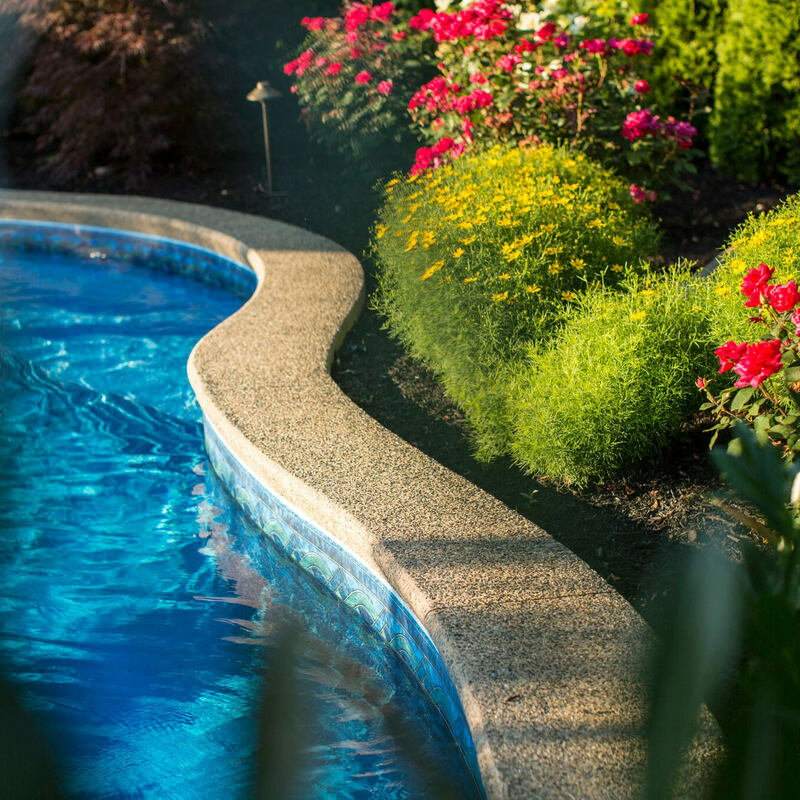 We are ready to transform your dream backyard into your reality.